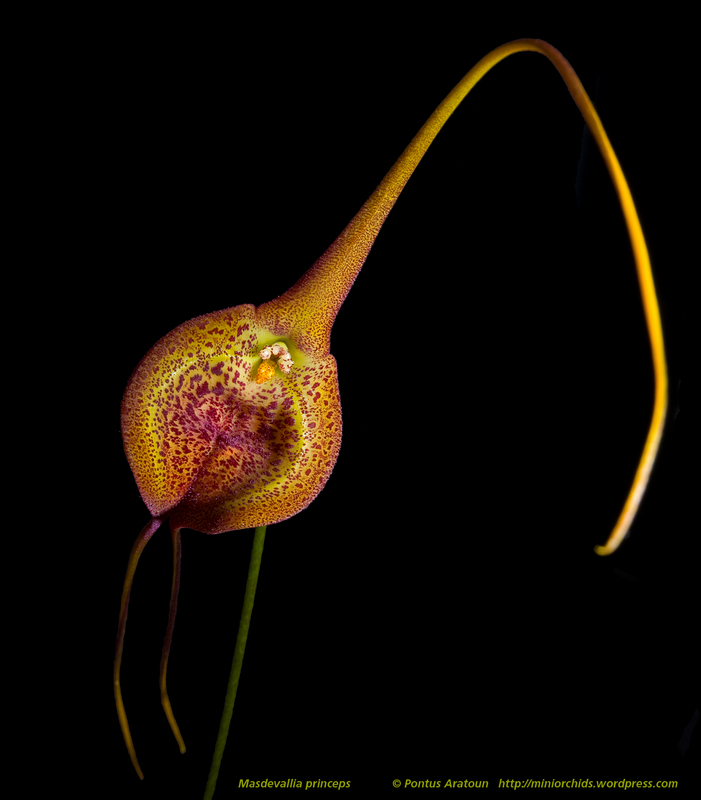 This species grows in central Peru near Tarapoto. There is not much info on this species. My plant is from Ecuagenera. 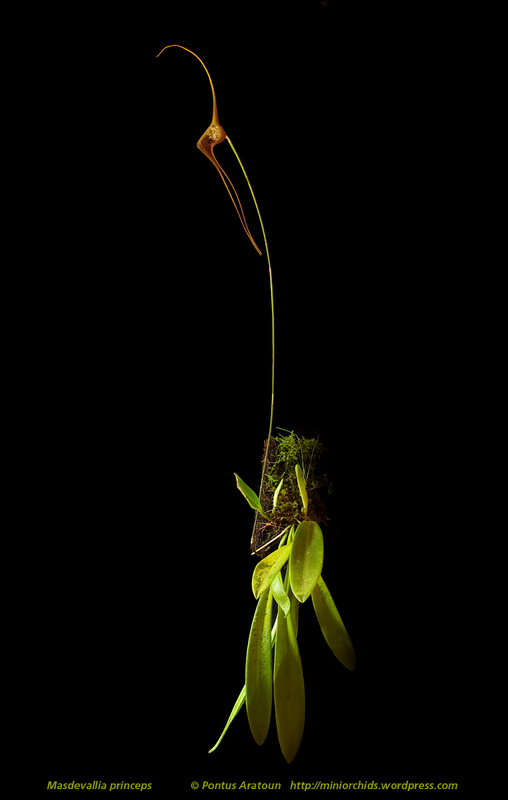 The flowerstake is about 50 cm long so it´s a huge Masdevallia! The flower itself about 15 cm. Grow this in very humid conditions with lots of light. When I saw the flowerspike starting to grow last summer I gave it some fertilizer now and then. Temperatures +10° min and + 20°C max! Lots of airmovement! The interesting thing was that the flowerspike grew nothing in months. Suddenly this winter it started to grow. And the last 2 months it grew fast! Wonderful species that I can recommend to all orchidlovers that have these conditions in their vivaria/garden.. It is wonderful Pontus!! Nice photos too. I must get me one of these! 🙂 I like how your blog is coming along too. Stunning species and great capture, Pontus! Very nice indeed, i am getting envious of all these fab pictures. 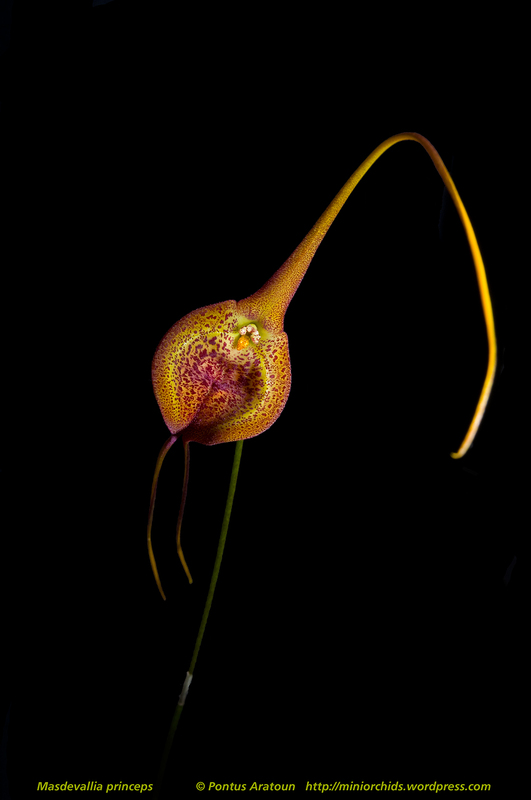 I really need to learn more photography so i can really notebook my Masdevallia collection. And i need to look at my species list to see if i have M.princeps, i honestly cannot remember if i have or not!